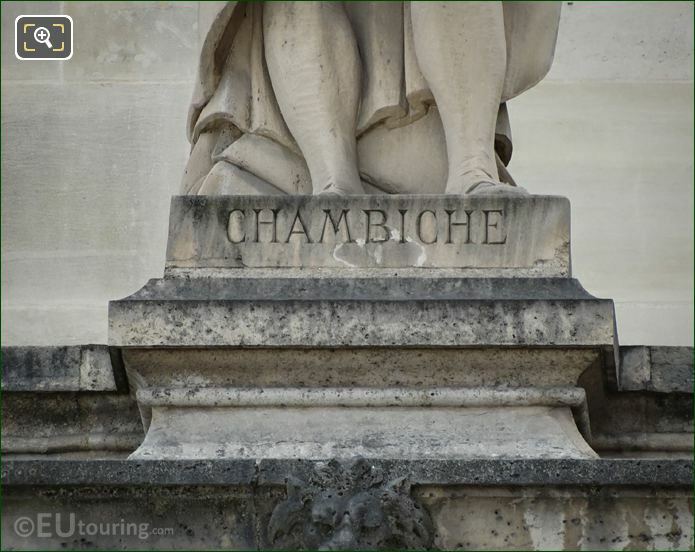 This time while we were within the courtyard of the Musee du Louvre called the Cour Napoleon, in the 1st Arrondissement of Paris, we took these high definition photos showing a statue of Chambiche, which was produced by Jules-Antoine Droz. 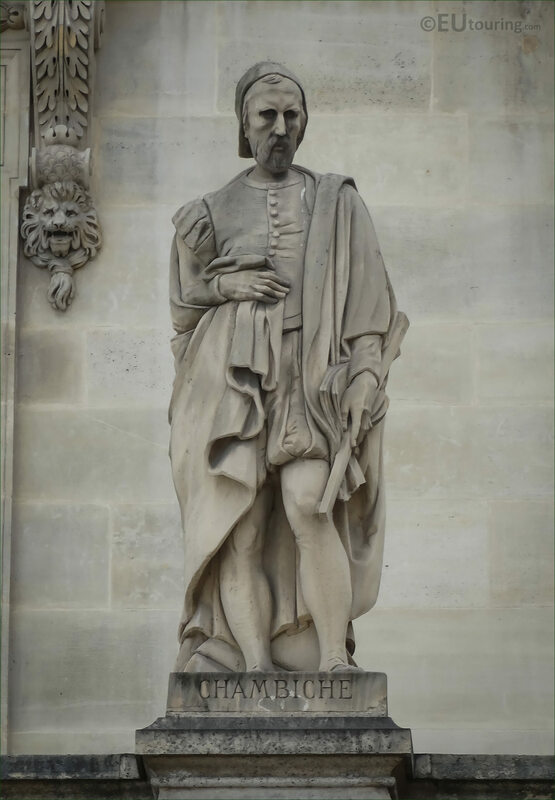 Now this stone statue of Pierre Chambiche is actually located on the Aile en retour Mollien wing of the former Palais du Louvre, and is positioned on the first level balustrade of the facade fourth one from the left hand side, and this was put in place in 1857 at the same time as numerous other statues of famous men in French history. 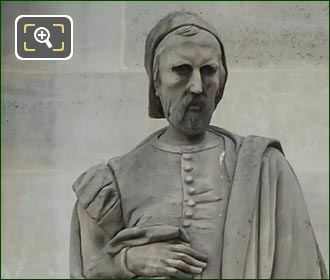 And this particular stone statue was produced by Jules-Antoine Droz who was the son of a renowned engraver, and born in March 1804 in Paris he became a French sculptor and painter, passing away in the same city in January 1872 and is buried in Pere Lechaise cemetery with his son. 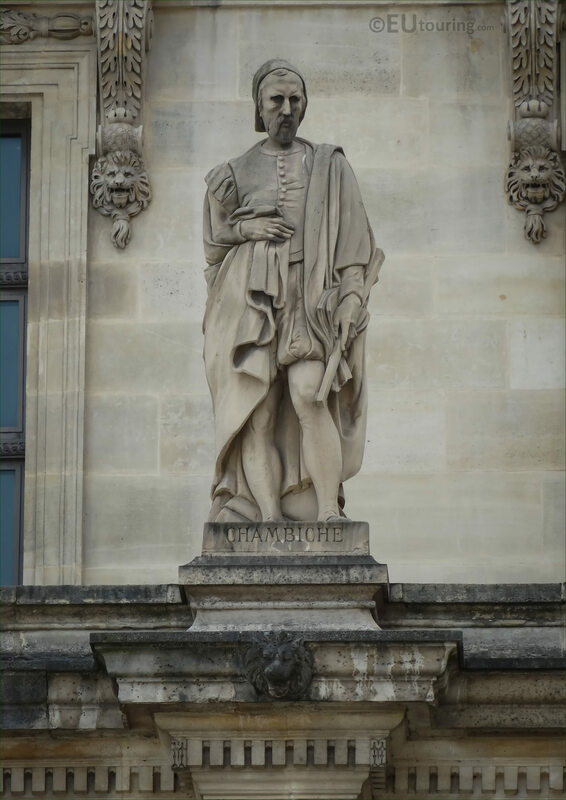 But becoming a French master mason and architect to King Francois I of France and his son King Henri II, he worked on numerous royal palaces including the Palais du Louvre and the Chateau de Fontainebleau along with the original City Hall in Paris, which is why he was chosen for one of the commemorative statues on The Louvre.